According to RCN Radio, nearly ten tons of food was collected for disadvantaged children and animals at METALLICA's concert in Colombia last week. Around 25,000 fans who attended the show at Los Andes Stadium in Bogota were asked to donate non-perishable food to help the indigenous Wayuú community in La Guajira, in northern Colombia, where in the last eight years more than 4770 children have died due to malnourishment and a lack of drinking water. Each week one or two children are dying from this cause. The fans brought in nine tons of food and other items through the hunger-fighting charity the Challenger Foundation and Corazones Peluditos (Furry Hearts), an independent organization of 40 families who help feed and re-home abandoned animals. A group of METALLICA fans in Colombia who call themselves the Lords Of Hardwire brought the initiative to the band's attention. The situation of the Wayuú was publicized worldwide through the release of the documentary "El Rio Que Nos Robaron" (The Stolen River), made by Colombian award-winning investigative journalist Gonzalo Guillén. The film illustrates the harrowing living conditions that currently plague the Wayúu and supply evidence of the Wayúu's claims that they are facing an orchestrated genocide due to the Colombian government's indifference and abandonment when it comes to providing safe, clean, drinking water to households in this remote and hostile territory. 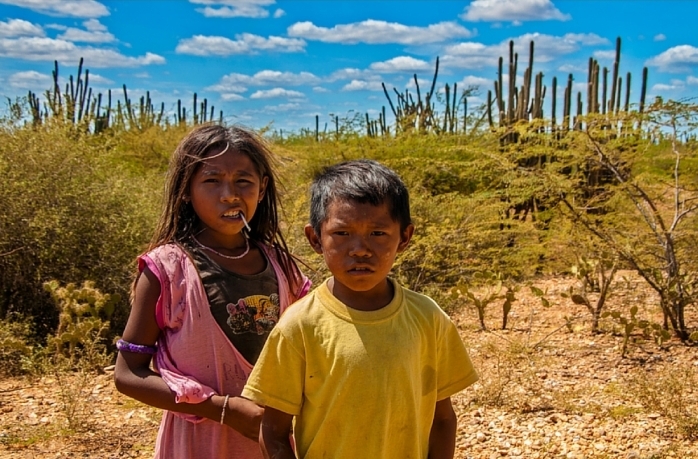 About 4,770 children of the indigenous Wayuú community have died of starvation in the past eight years. When we break the numbers down, this means that one to two children are dying of hunger each week. 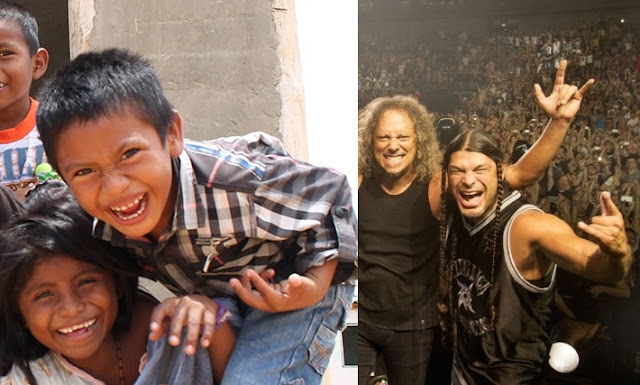 So, when the Colombian-based METALLICA fangroup The Lords of Hardwire brought this problem to the band’s attention prior to their November 1st concert in Bogota, the metal band did something truly awesome: they asked fans to donate non-perishable food items to help feed hungry humans and animals. And oh, did the fans deliver. Responses to "METALLICA collects Nine Tons of Food for the Wayuu tribe's malnourished children"
Thanks guys and fans. Very damn cool. Keep up the good work. !!! !